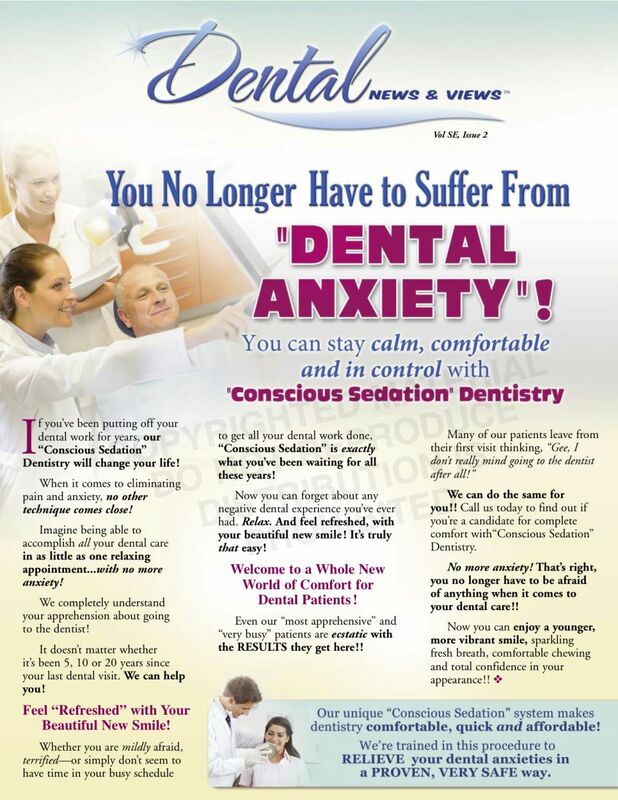 We have pioneered sedation dentistry in the city of Fort Lauderdale with our advanced anxiety-free dentistry. We specialize in twilight sedation and general anesthesia. Max Arocha DMD is a prolific innovator and awarded of U.S. and international patents in the field of injectable methods of anesthesia. We take all major dental insurance and offer payment plans options for your convenience. The most obvious advantage of conscious IV anesthesia is to allow the patient to undergo multiple dental procedures, all while been sedated. Our facility is certified by the State of Florida to provide general anesthesia dentistry. Call today for information about how to sleep through your next dental appointment. In general, these sedated patients do not want to remember anything when going to the dentist. At our practice, we help patients undergo years’ worth of dental work all while been sedated, in as little as one visit. Our focus is to replace anxiety with a peaceful and relaxing dental appointment. As a specialist in conscious intravenous (IV) sedation Dr. Arocha, his team are committed to providing you with an anxiety-free dental experience. We offer Sedation Dentistry for dental work like deep cleaning, root canal, extractions, dental implants, fillings, surgery, etc. 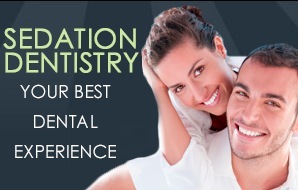 IV sedation available for all dental treatments. We are known about conscious Intravenous (IV) Sedation, often referred to as Dental Intravenous (IV) Anesthesia, or "Twilight Sedation". This is what sets our office apart from other dental practices; Imagine undergoing years’ worth of dental work all while been sedated. Once you have experienced the great benefits of IV sedation dentistry, you may wonder why you waited so long to make the appointment. When we met our patients in real life, we try to unearth their dental and life story, and to tell our own as clinicians. The end goal is find out if we can bring these patients back to good oral health and give them a great smile. In this process of knowing each other during our 1-hr consultation we tap into the underlying reason patients have dental issues and why they have decided to come to see us– to get to be the very best version of themselves; a version they have always had within them that got lost along the way. As of 2018, Intravenous (IV) conscious sedation cost about $250.00 – $500.00 per visit. What is a Sedation Dentist all about? Is the use of pharmacological medication to calm and relax a patient prior to and during a dental procedure. Sedation by pharmacologic methods may be obtained by two general routes. Oral sedation involves absorption of medication like a Xanax, Valium, Ativan or Halcion (Triazolam). This route includes medications that are swallowed. The intravenous (IV) route involves giving the sedative drug, like Versed, via vein which exerts their action by depressing the central nervous system, specifically those areas concerned with conscious awareness and memory. The first visit to the dentist after not having been in for years can truly be nerve wrecking for the patient because of embarrassment. We understand the degree of bravery that must be mustered up to finally go to the dentist or to even make that first phone call. For many people, remembering having painful and traumatic past experience about going to the dentist is a major reason for not seeking the dental work that they need, in many cases desperately. If you count yourself among the thousands of people with true traumatic past experience in the Fort Lauderdale area, we can help you with intravenous sedation dentistry. It does not matter whether you have had a recent bad dental experience in the past or are simply dislike the sights, sounds, and pain. Our certified conscious intravenous (IV) sedation practice welcomes you. The sedation dentistry options available at our Fort Lauderdale office in plantation allows you to undergo multiple dental procedures, all while been sedated. In fact, any memories you may have of your dental experience are likely to be pleasant. Who is a candidate for a sedation dentistry? People unable to cooperate at the dentist due to the lack of psychological or emotional status about going to the dentist. Sedation dentistry is the answer for people who are stressed out about going to the dentist whether or not they have a history of having a bad experience at the dentist before. Sedation dentistry also works for patients who are going to see a dentist for common procedures such as dental checkups and teeth cleanings. Going to the dentist can be uncomfortable to many people. Many of our patients express from having had a traumatic experience, the pain of needles and dislike of the sound of the dental drill. The embarrassment that follows when a person hasn’t been to the dentist in a long time leads to further deterioration of teeth, gums, social interactions, business interactions, etc. The implications are enormous not only health-wise but psychologically and socially as well. That is why we continue to provide help for those who want to be sedated and does not want to remember anything when going to the dentist, those who are embarrassed and simply don’t want to deal with the dentist. Hoping for beautiful and healthy teeth without remembering confronting the dentist can now be a reality. Conscious Intravenous (IV) Sedation. Patients are given medication intravenously. This is often one of the safer and most effective forms of administering dental sedation since the medication is injected directly into the bloodstream. IV medication also has a quicker effect. Most IV treatments are designed to induce a great sense of sedation. The goal is to provide a calm and relax state of awareness and as for the patient not to remember anything about the visit. Inhalants Sedation. Instead of receiving medication intravenously through a vein, patients can opt to receive their sedation medication through the simple process of inhalation (anesthetics in the form of gas). A small mask attached to a tube is placed over the patient’s nose in order to administer the gas medication. Nitrous oxide, which is more commonly referred to as laughing gas, is one of the most common types of inhalants used in dentistry. Oral Pills Sedation. Even the simple act of taking a pill can calm and relax a patient’s nerves. These sedation pills include Xanax, Valium, Ativan or Halcion (Triazolam). Some patients have reported that they were not even able to remember the dental procedure after taking a sedative pill. Benzodiazepines, or “benzos,” are designed specifically to combat anxiety and are one of the most common forms of oral sedatives. General Anesthesia. Patients are given medication intravenously to go to sleep. These IV medications are designed to induce general anesthesia and put the patient completely asleep. An IV is started on your arm. The catheter will be attached to an intravenous tube through which medication will be given to sedate you. The goal of Conscious Intravenous (IV) Sedation is to use as little medication as possible to get the treatment completed. With intravenous IV sedation, a constant “drip” is maintained via the intravenous tube. At any time an antidote can be administered to reverse the effects of the medications if necessary. Conscious Intravenous (IV) Sedation is safe! We can also provide Nitrous oxide gas in combination with intravenous IV sedation – basically, we can tailor the anesthesia to your need and desire. Moderate to significant pain control/sedation (more than enough for most). Cost: about $200.00 – $250.00 per visit . Oral Sedation (Pill/tablet form Sedation). Oral sedation is an anti-anxiety prescription pill given to the patient to swallow. This is an effective method for most, sometimes requiring the concomitant use of Nitrous Oxide Gas during some part of the procedure while vital signs are monitored. Oral sedation can be prescribed for many types of dental work, from a routine check-up to a dental cleaning. Various pill form medications can be used for this purpose like Xanax, Valium, Ativan or Halcion. Oral sedation helps patients who have a hard-to-control gag reflex or tooth sensitivity, as well as those who are resistant to numbing medications. Depending on your level of dental anxiety, we can administer an anti-anxiety pill, on the day of your visit, generally an hour before you are scheduled to undergo a procedure (so you will need to plan on having someone drive you to and from your appointment). The sedative will put you in a state of relaxation and it may make you sleepy. Although you will not be asleep with oral sedation pill, you will be mostly unaware of the dental treatments being performed and may experience an amnesia-like quality that reduces your memory of the treatment. Dr. Arocha and our hygienist can then focus on completing one or multiple procedures, potentially reducing the number of dental visits you’ll need to make. Oral sedation is normally effective for mild to moderate fearful patients as well for those who gag easily and can’t have treatment performed under normal circumstances. Because the patient is relaxed, the dentist can perform more high-quality dental treatment in fewer visits. There is little to no memory of the procedure following pill form sedation. Sedation with nitrous oxide gas is more commonly known as laughing gas. It is a sedation technique commonly used to help patients decrease their anxiety and promotes relaxation while they remain conscious. This method of sedation is sometimes referred to as anxiolysis; taking the “edge” off a nervous patient so that the necessary treatment can be performed. Nitrous oxide and oxygen are mixed together and then inhaled through a mask that covers the nose prior to and during a dental procedure to produce sensations of lightheadedness, relaxation, and a comfortable, warm-all-over feeling. The patient receives 50-70% oxygen with no less than 30% nitrous oxide. Patients are able to breathe on their own and remain in control of all bodily functions. The patient may experience mild amnesia (memory loss) and may fall asleep not remembering all of what happened during their appointment. Safe, effective, and non-invasive, a nitrous oxide gas is one of our sedation method for mild anxious patients. There is no in effect such as a "hangover"
In as few as 2-3 minutes, its relaxation and pain killing properties develop. Though there are no major contraindications to using nitrous oxide, you may not want to use it if you have emphysema, exotic chest problems, M.S., cold or other difficulties with breathing. To help “pass the time” of treatment. We are here for you. Sedation Dentistry will allow you to experience dentistry in a whole new way while engaging in a pleasant sedated and relaxing experience. Make the first call now to meet Dr. Arocha in a private consultation.